Sometimes it can be easy to forget about the most important part of getting into great shape – hitting the gym and training hard. And that’s where a good pre workout supplement comes into play. UPDATE: We’ve updated this guide with the latest information and supplements for 2019. We currently rate 4 Gauge (for men) and Powher (for women) as the two best pre workout supplements on the market right now. We’ll be reviewing and updating this article with the latest information throughout 2019. It’s common sense, but you won’t be able to get the physique you’ve always wanted unless you’re exercising regularly and consistently and sticking to a healthy and balanced diet. A so-called ‘pre workout’ supplement is a blanket name which generally refers to products which have been formulated to be consumed before periods of exercise to help support your training. Luckily for you, you don’t need to waste your time doing the research, as our team of experts has done all of the hard work for you. 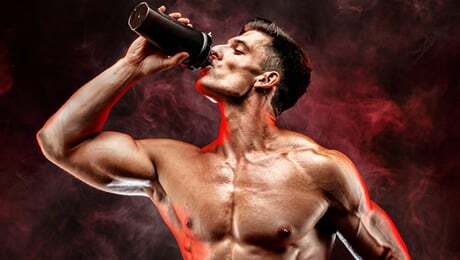 In this handy guide, we bring you everything you need to know as we pick out some of the best pre workout supplements on sale in the UK, USA and worldwide right now. Those of us who train regularly know all too well about the big difference between the ‘good’ and ‘bad’ days you can have at the gym. We’ve all had those workouts which seem to fly by. You were in the zone from start to finish and felt like you could keep going forever. You didn’t want to leave the gym. In contrast, we’ve all experienced those ‘off days’. Sessions where you’re physically present but seem to find yourself just going through the motions. You have to keep telling yourself to focus on each set. Simply put, you’re were just not in the game. The purpose of pre workout supplements is to help you to support your training as you aim to smash your fitness goals this year. Think about it like this, using a high-quality pre workout supplement is like taking out a small insurance policy to boost your chances of hitting your fitness goals. • Effectiveness – We turned away from the marketing hype and instead took a look at some of the real customer reviews on social media, blogs and review websites. • Safety and side effects – We looked for products which don’t contain any harmful or risky ingredients. We researched the potentially risky ingredients found in some pre workout supplements and we didn’t include products which overdo it on things such as Caffeine. 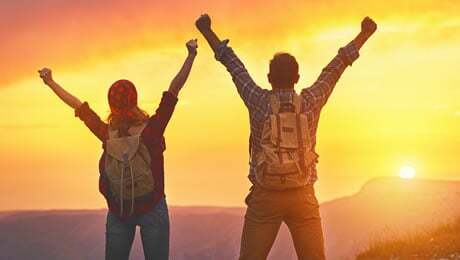 • Company reputation – Does the manufacturer have a positive reputation in the health and fitness industry? We looked into the companies behind the products and researched the other supplements they offer to find out about their reputations. It’s best to make sure that you’re giving yourself the best chance of success by using a pre workout that addresses the issue from multiple angles. We only chose products that combined a variety of ingredients to ensure maximum effectiveness. We’ve also got a separate guide to the best pre workout supplements for women on sale right now. So, with the introductions out of the way, let’s get right down to it and bring you our definitive list of the best pre workouts on sale in the UK, USA and worldwide right now. This is our top pick for the best pre workout supplement in powder form on sale right now. 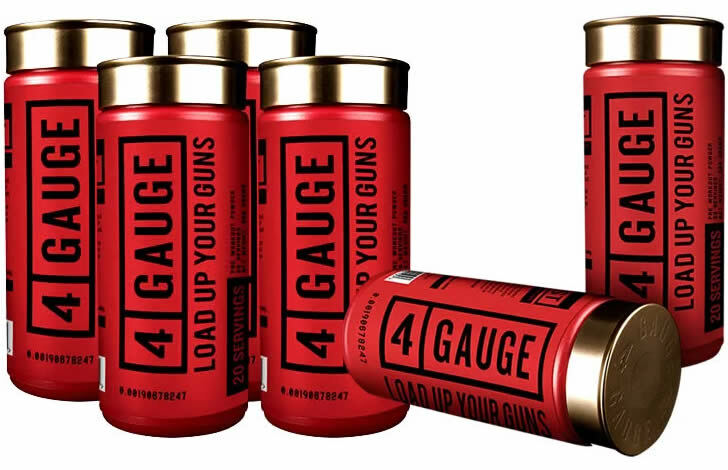 4 Gauge is made by specialist supplement company Roar Ambition. If you’ve done any research for yourself, you’ve probably already come across 4 Gauge, and we seemed to find references to it everywhere while doing out research. 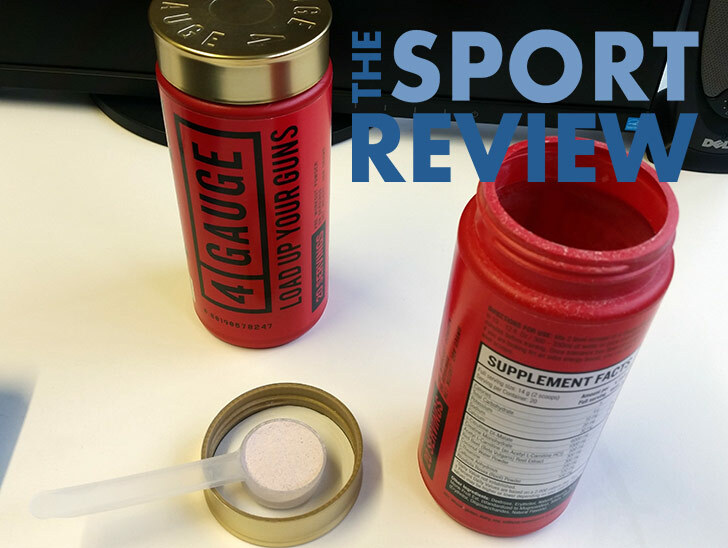 We regularly found it rated as the number one powder pre workout supplement on lots of review websites, so we did some digging to find out just why 4 Gauge is so popular. • Give yourself a boost – Make every gym session count. • 150mg Caffeine – 4 Gauge contains a sensible 150mg per serving and doesn’t use an artificial sweetener. • 1g Creatine – Creatine is a popular post-workout ingredient, but it also is used in many top pre workouts. • ‘Fruit Blast’ flavor – Sweet and slightly sour. We liked it. • Fully dosed serving – 4 Gauge contains many of our favorite pre workout ingredients at good doses. It doesn’t use a proprietary blend, so we know exactly what is in each serving. • Caffeine Anhydrous – 4 Gauge contains 150mg of Caffeine per serving. Most of the leading pre workouts contain a small dose of Caffeine in their formulas. • Potassium – Often overlooked in pre workout supplements, Potassium contributes to normal functioning of the nervous system and normal muscle function. • Calcium – An important mineral which contributes to normal energy-yielding metabolism and normal muscle function. • L-Theanine – An amino acid found in tea leaves. It’s often paired with Caffeine in pre workout supplements. • Creatine Monohydrate – Creatine is a common pre workout supplement ingredient. Creatine Monohydrate is one of the most commonly used forms of Creatine. • Red Beet Root Extract – This is another solid pre workout ingredient. 4 Gauge uses 300mg per serving. As you can see for yourself, 4 Gauge contains some other ingredients, including things such as Potassium, Calcium and Rhodiola Rosea. 4 Gauge also uses a hefty 6g dose of L-Citrulline Dl-Malate per serving. Each tub of 4 Gauge contains 20 servings of two scoops. It varies a bit from person to person, but you’re advised to take 4 Gauge anywhere between 15 and 45 minutes before starting your workout. It’s worth experimenting to see when it ‘kicks in’ for you. As we mentioned above, we found lots of of positive reviews of 4 Gauge online. Of course, we did find some people who didn’t like the product. 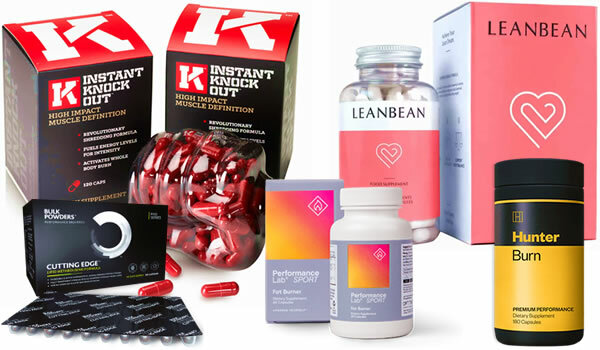 All of the supplements we reviewed had at least some negative reviews. You can see some of the customer reviews with testimonials on the official website by clicking here. The price for one tub of 4 Gauge is $45 / £30 / €35. They have a deal on where you buy two tubs and the third is half price, which includes free shipping to the US and UK. That works out at around $37.50 / £25 / €29 per tub. At the moment, you won’t find this product in the shops. It’s only available to buy directly on the official website at the moment. Roar Ambition’s supplements are made in the USA and UK in cGMP and FDA approved facilities. They ship from both the UK and USA, so you can expect to get your order in 1 to 4 days if you live in one of those countries. They also have fast worldwide shipping. • You can only buy it directly on the official website, meaning you won’t find it in the shops or on other sites such as Amazon. • Premium price-tag. 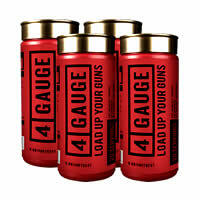 There’s not getting around it, 4 Gauge is a premium-priced product and may not fit into everyone’s budget. • It currently only comes in one flavor, called ‘Fruit Blast’. We liked it though. If you don’t mind paying for a premium-quality product delivered in powder form, then 4 Gauge is the pre workout supplement for you. It contains a good blend of ingredient without overdoing it on the Caffeine (150mg per serving). The main drawbacks are the premium price tag and the fact that you can only buy it directly from the company at the moment. 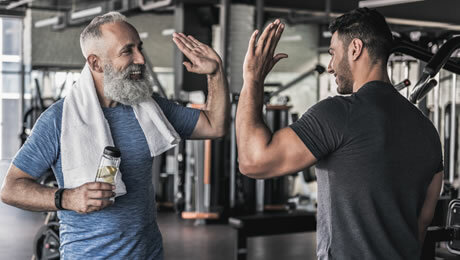 While doing our research to find the best pre workout supplements on the market right now, we noticed that most of the products out there seemed to be geared towards men or both genders together. So it was refreshing to come across Powher, which has been specifically designed from the ground up with the female body in mind. It’s currently our top rated pre workout for women on the market, and it contains a lot of the common ingredients found in supplements in this category. Powher is made by the specialist female supplements company Ultimate Life, who are also behind the popular women’s fat burner Leanbean. It currently only comes in ‘Pink Lemonade’ flavor and contains a range of good ingredients without overdoing it on the Caffeine. • Made for women – Designed specifically with females in mind. • Get more out of your workouts – Formulated to help you reach your goals. • Simple to use – Just mix one 10g scoop with water 30 minutes before your workout. 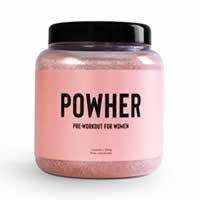 • Vegan and Vegetarian Friendly – Powher doesn’t use any animal products. It’s also non-GMO and gluten free. • Vitamins B6 and B12 – Often overlooked in pre workout supplements, we were pleased to find these two important B Vitamins in Powher. 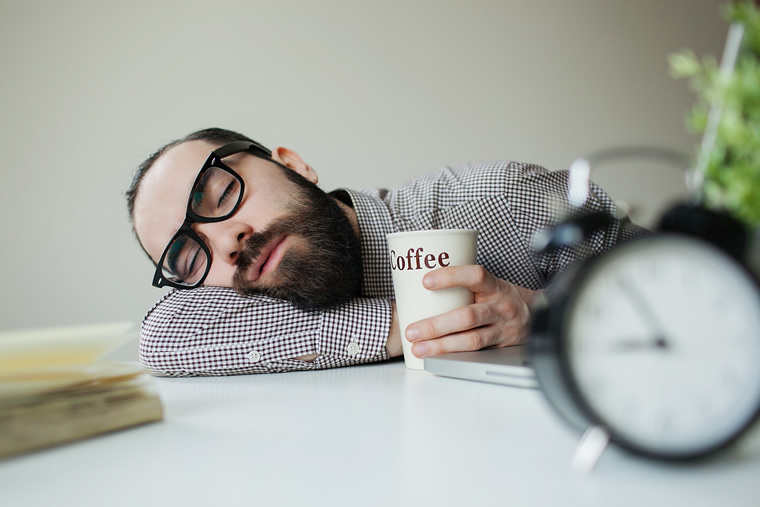 In case you didn’t know, Vitamins B6 and B12 both contribute to the reduction of tiredness and fatigue and normal energy release. • Pantothenic Acid – Also known as Vitamin B5, Pantothenic Acid contributes to normal energy release and normal mental performance. • Natural Caffeine – Powher contains 100mg of natural Caffeine from Green Coffee Bean Extract. 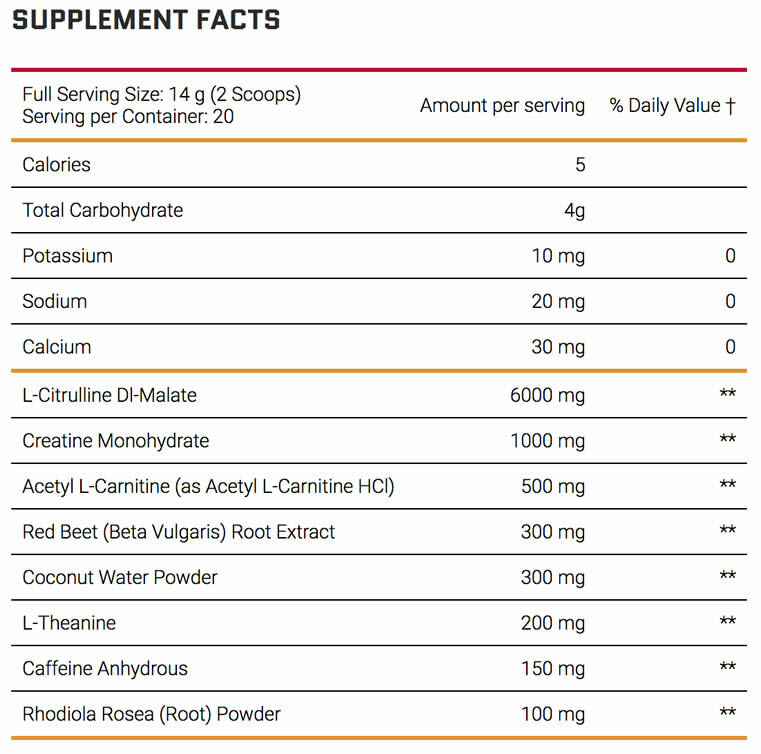 We always like it when pre workout supplements use less than 200mg of Caffeine per serving. • OxyJun – This is a branded form of Terminalia Arjuna Bark extract. Each serving of Powher contains 400mg of OxyJun. • RedNite – This is another branded ingredient in the Powher formula. It is essentially beetroot powder (Beta Vulgaris Root Extract). Each serving of Powher contains 500mg of RedNite. • L-Citrulline Malate – As found in 4 Gauge, L-Citrulline Malate is an amino acid. It’s a common ingredient used in pre workout supplements, and Powher uses two grams per serving. • Taurine – An ingredient found in many commercially available energy drinks. Each serving of Powher uses 2.5 grams of Taurine. • Beta-Alanine – Another common ingredient in pre workout supplements. 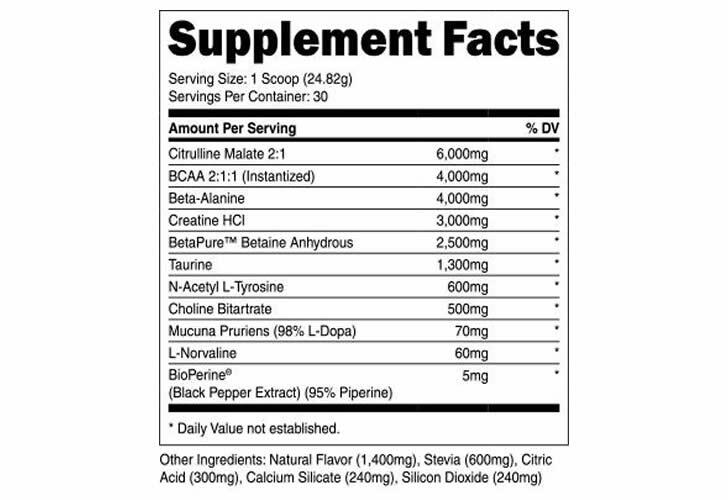 Each serving of Powher uses 1 gram of Beta-Alanine. Powher is simple to take. The directions simply state that you should mix one 10g scoop with around 250ml of water, 30 minutes before starting your workout. This will allow enough time for the Caffeine to kick in. One tub of Powher contains 20 servings and currently costs $45 / £35 / €39. You can only buy it on the official website at the moment, meaning that you won’t find it in the shops or elsewhere online at places like Amazon. They do offer multi-box discounts on the official website. If you go for their ‘Ultimate Powher Pack’, you’ll get four tubs with free delivery for $149 / £110 / €117. Powher ships worldwide and is manufactured in FDA registered facilities. • It currently only comes in one flavor, called ‘Pink Lemonade’. • It’s one of the more expensive pre workouts on the market right now, meaning that it may not fit into everyone’s budget. • You can only buy it directly from the manufacturer on the official website at the moment. You won’t find Powher at GNC on Amazon, eBay or in any other stores. 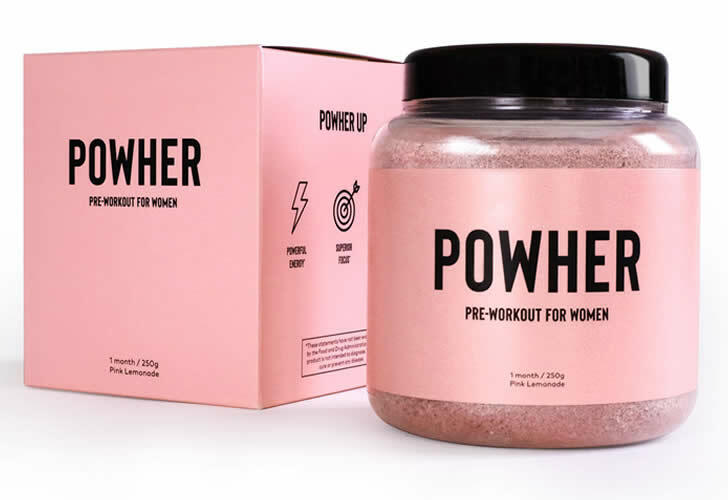 Powher is our top rated pre workout supplement for women. It’s great to find a product in this category that has been specifically designed with females in mind. The only slight downsides are that it’s a premium-priced supplement and you can only buy it directly from the manufacturer on the official website at the moment. The next product on our list is the Performance Lab SPORT Pre-Workout. It has a few things that sets it apart. Firstly, unlike most of the pre workout supplements on the market, it’s delivered in capsule form, meaning that it’s easy to consume and doesn’t contain any sweeteners at all. It’s also one of the few pre workouts out there that doesn’t use Caffeine as one of its main ingredients, which is a refreshing change from the supplements which are packed full of stimulants. Performance Lab is the latest range of supplements from industry veterans Opti-Nutra, and we’re big fans of their pre workout supplement. • Achieve your goals – Get the most out of your hard work. • No Caffeine – Many pre workouts contain lots of Caffeine. SPORT Pre-Workout doesn’t use any at all, which may suit some people, especially if you regularly train at night. • No sweeteners – Because SPORT Pre-Workout is delivered in capsule form, there’s no need for any sweeteners of any type. This is basically never the case with powder-form pre workouts. • Vegan friendly – It’s 100 per cent suitable for Vegans and Vegetarians, unlike many other pre workouts on the market at the moment. 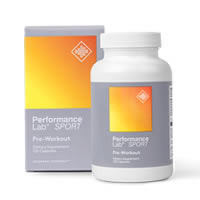 The Performance Lab SPORT Pre-Workout formula uses ingredients selected to help give you a boost and reach your goals. • L-Citrulline – Popular ingredient and 500mg per serving. 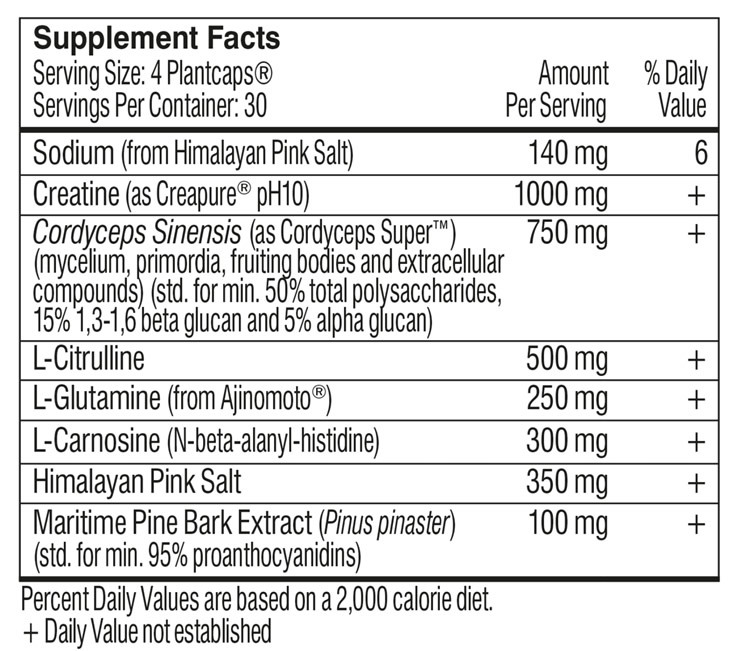 • Cordyceps – 750mg per serving. • L-Glutamine – Contains 250mg per serving. • L-Carnosine – 300mg, often found in the top pre workouts. • Himalayan Pink Salt – 350mg per serving. 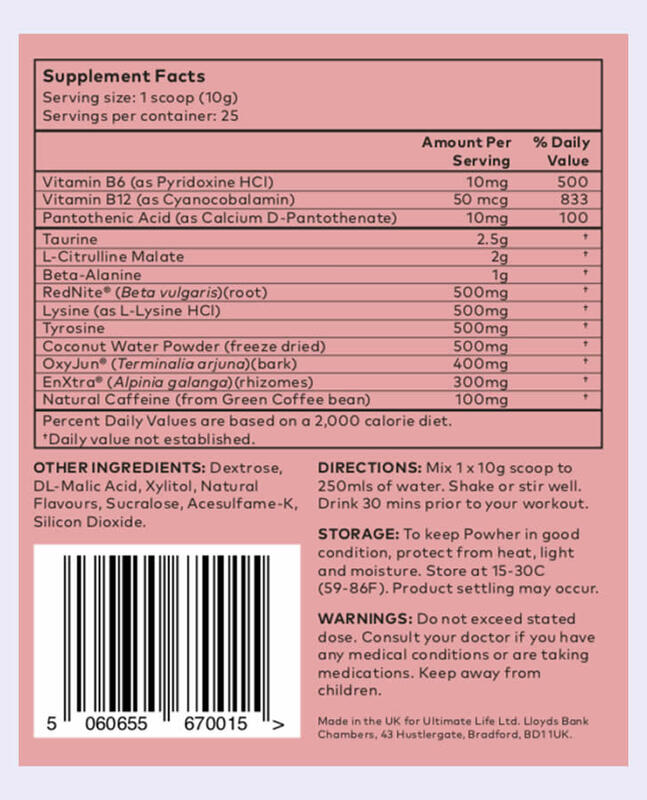 Here is the full ingredients label of SPORT Pre-Workout, as printed on the box and bottle. Unlike most pre workouts, SPORT Pre-Workout is delivered in capsule form, which makes the directions pretty simple. You should take four capsules with a glass of water, around 30 minutes before starting your workout. The price for one bottle of SPORT Pre-Workout is $45/ £35 / €40. You can save 10% by buying one of their three-box bundles on the official website. The Performance Lab range is not for sale in the shops or on other websites such as Amazon. You can only buy it directly from the manufacturer on the official website at the moment. 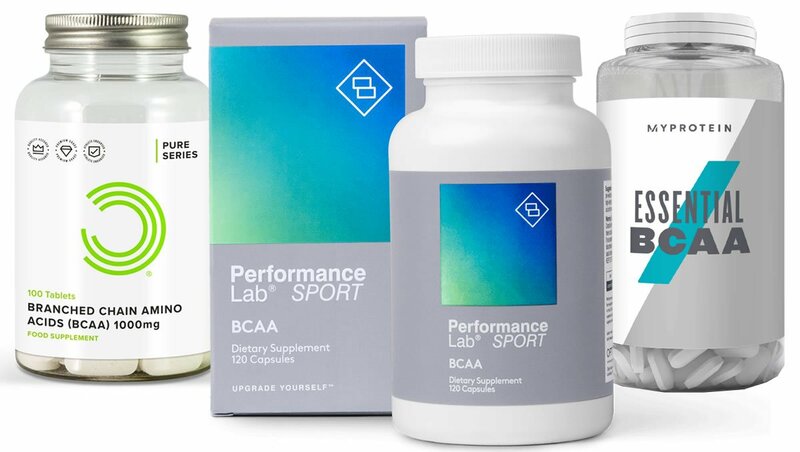 The Performance Lab supplements are made in both the USA and UK in cGMP and FDA approved facilities. They also have fast worldwide shipping. • You can only buy it directly from the manufacturer on the official Performance Lab website. You won’t find it in stores or on Amazon or eBay. • It’s a premium priced product, meaning that it’s more expensive than some of the other options on the market right now. 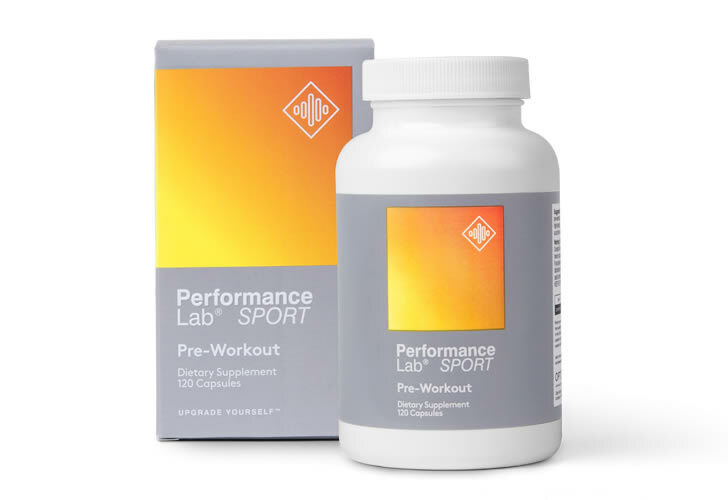 We’ve rated Performance Lab SPORT Pre-Workout as the top pre workout supplement in capsule form because we love its simple, Caffeine-free formula. It’s delivered in capsule form, doesn’t use any sweeteners and is completely Vegan friendly. This is definitely the most impressive capsule-form pre workout supplement we’ve ever come across. 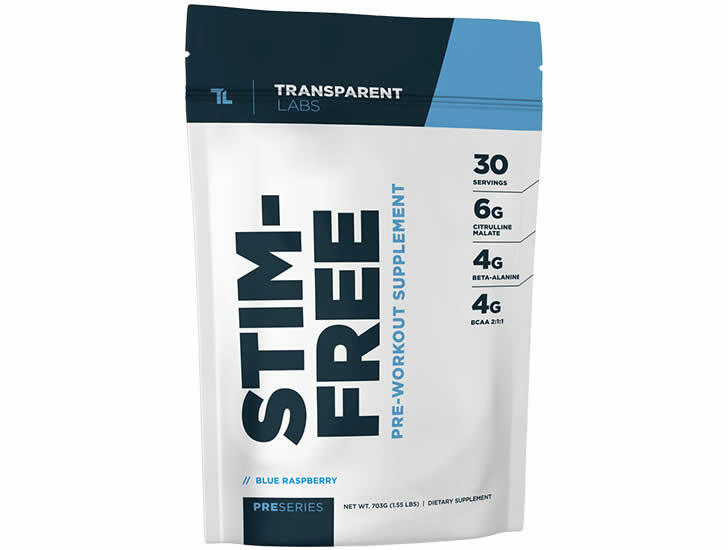 Stim Free Pre Workout is a supplement made by US-based company Transparent Labs. 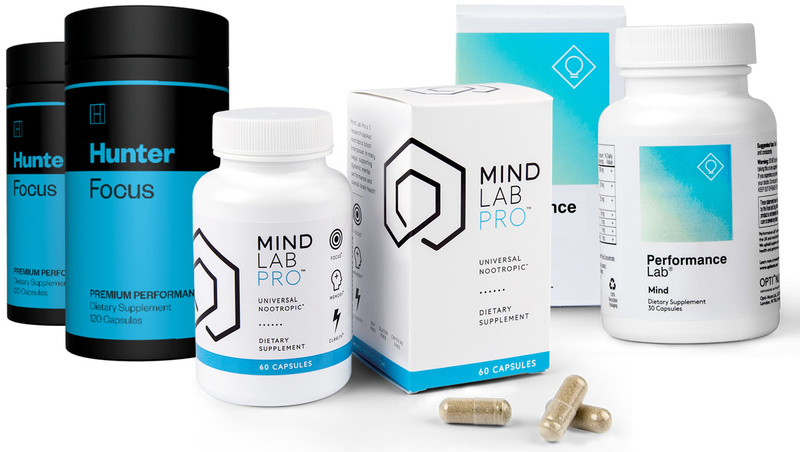 The good thing about their products is that they never use proprietary blends, meaning that you’ll know exactly what is in the supplement you’re taking along with the exact dose. 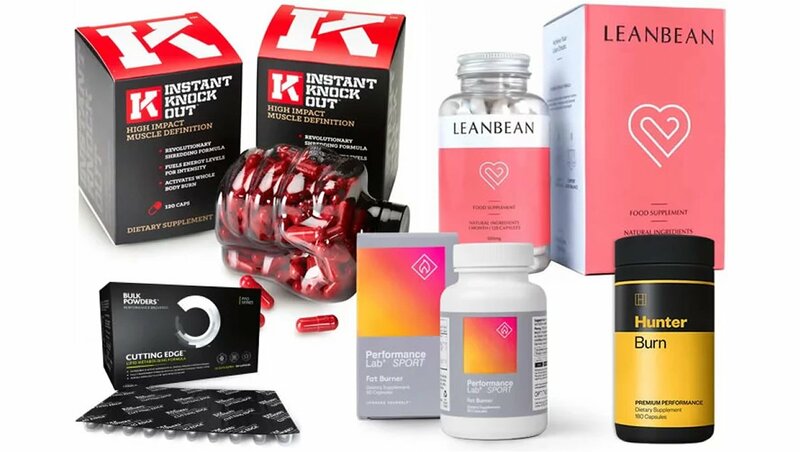 We always recommend staying clear of any supplements that use proprietary blends, and you’ll see that all of the products on this list clearly state their full list of ingredients for us to see. 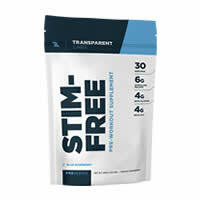 As the name suggests, the Stim Free Pre Workout doesn’t use any Caffeine in its ingredients formula. Instead, it contains a range of other popular pre workout supplement ingredients, including 4 grams of Beta-Alanine and 3 grams of Creatine HCl. It currently comes in five different flavors, including Blue Raspberry. Like Powher, it also uses a dose of Taurine. It also includes a dose of Branched Chain Amino Acids (BCAAs). • Transparent Labs are a US-based company. Their products may not ship to all countries. • It’s another product with a premium price tag. This is another decent product. It doesn’t use any Caffeine and contains some common pre workout ingredients such as Creatine HCl and Beta-Alanine. 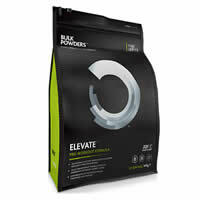 Elevate is a pre workout supplement made by Bulk Powders. 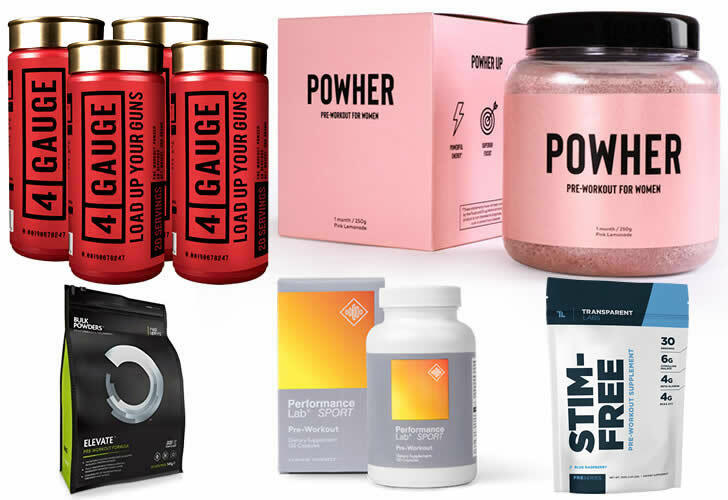 If you’ve read any of our health and fitness content before, you’ll know that we’re big fans of Bulk Powders and their reasonably-priced products. 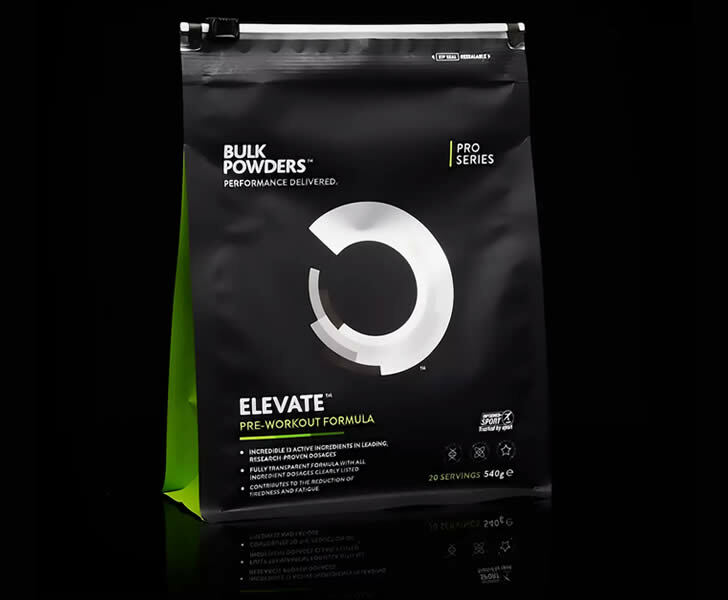 Elevate is Bulk Powders’ premium pre workout offering and it comes in three different flavors. Elevate contains some popular and common pre workout ingredients such as Citrulline Malate and Caffeine. It also contains black pepper extract (Bioperine). Vitargo is its main flagship ingredient, and each serving of Elevate contains 10 grams. It also uses Vitamin B6 as one of its main ingredients. It’s a good ingredients list, but it didn’t include things such as Creatine and L-Theanine. There were 73 reviews on the official website at the time of writing. Of those, 69 were five stars and four were four stars. That’s pretty good going, but it’s difficult to tell whether they censor the reviews which are published on their official website. • Like 4 Gauge, Powher and SPORT Pre-Workout, this is a premium priced product, coming in at $35 / £28 / €32 per 540g (20 servings). • Doesn’t contain some ingredients such as L-Theanine, Red Beet or Creatine. • Only ships to the UK / Europe at this time. Elevate is a good pre workout supplement but it won’t be for everybody because of the 200mg of Caffeine. However, it does contain some common ingredients such as Citrulline Malate. This tends to vary a little bit from person to person. The directions which come with your supplement are a good place to start, but the truth is that everyone is different and has varying degrees of tolerance to the ingredients. For some people, taking a pre workout 30 minutes before starting training is perfect, but for others, it can take as long as an hour to kick in. We highly recommend testing the product yourself to see what works best for you. As we always say when discussing supplements, it’s important to remember that they won’t do the hard work for you. You’ll still have to be the one doing the hard work in the gym. It’s no good taking a pre workout and expecting it to boost your training without any extra effort on your part. As with most things in life, there’s no shortcut to success when it comes to achieving a muscular and toned physique. That being said, taking a good quality pre workout supplement can help to support your goals. And always remember that supplements work best when combined with a healthy diet and lifestyle. Make sure that you’re eating right, have a good training schedule and are getting enough rest to feel the full effects. 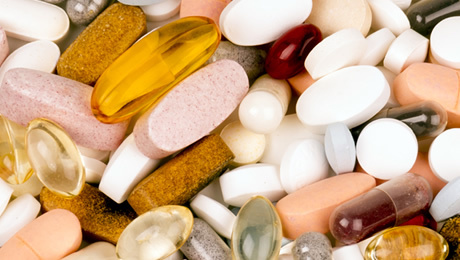 You should also always consult your doctor before thinking about trying any new supplement for the first time. So there we have it, our top pick of some of the best pre workout supplements on sale right now. 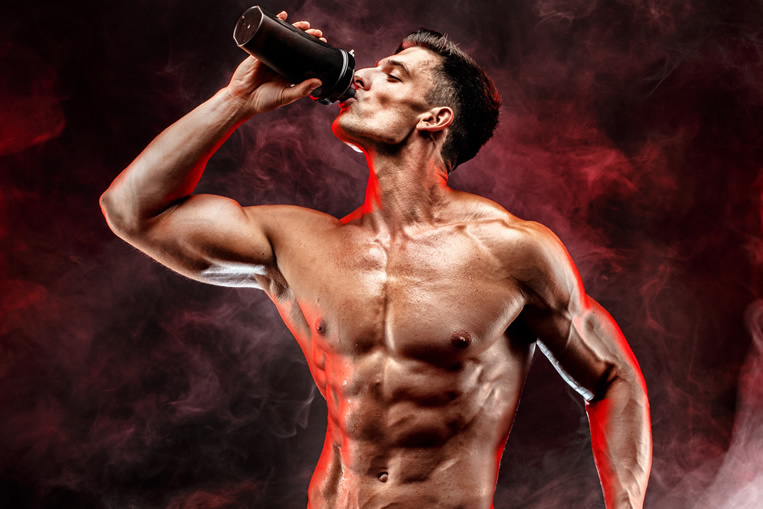 We’ve taken you through what to look for in a pre workout supplement and brought you our top-rated products at the moment based on all of the important information. We currently rate 4 Gauge (best for men) and Powher (best for women) as the top pre workout supplements on the market right now. However, you’re not going to go too far wrong by picking any of the five products on this list. This article was last updated on January 09, 2019.